If you own a business website for your company and are planning on digital marketing, you must be very familiar with the term ‘SEO’. SEO is the acronym for Search Engine Optimization. The list of results shown by Google, Bing, Yahoo and other search engines depend on certain keywords which the users type. Your business can come into sight of the users, on the initial Search Engine Results Page (SERP) if you have used appropriate keywords to explain your business. If your business is constrained within a limited geographically area, you can optimize your website and content by local search engine optimization. Local SEO concentrates on giving results to the users based on their location by using specialized internet search engines. For instance, you run a coffee shop in New York City. When people in your city search for ‘coffee shops’ on a search engine, they get a list of local coffee shops around. The name of your coffee shop can also come up on their SERP. On the other hand, a person in a different city looking for the same keyword would not get a link of your coffee shop listed in his/her SERP. What to highlight while optimizing Local search engine? 20% of the desktop searches and 50% of the mobile searches are based on local queries and questions. You can gain higher local search rankings and pull more traffic in your business page by local search engine optimization. Google Places, the ultimate platform for local search marketing on the Web is absolutely free. When you are aiming to work on local SEO, you need to make sure that you highlight the business’ name, address, phone number (NAP) and map (all together referred to as a 7 Pack). You also can affix slogans, images, videos, a direct link to your website and reviews to optimize your listing. You can mention the category of your business as well. However do not over-optimize for the search engines. Google might carry out negative consequences on your ranking in the SERP. 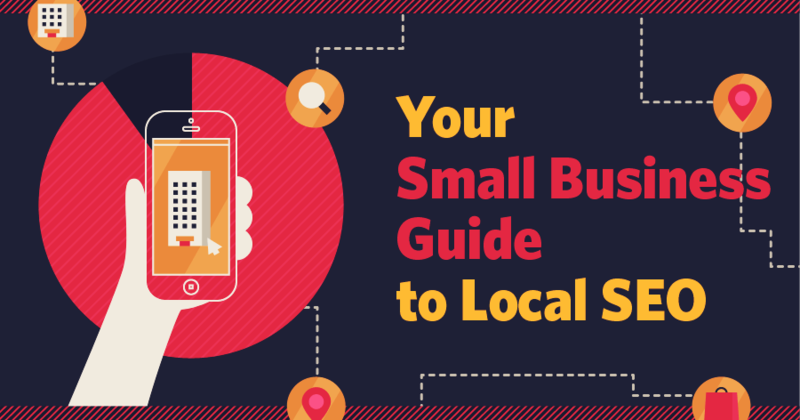 How can you work on your local SEO marketing? Your local SEO strategies will comprise both on page and off page SEO building. You need to work on fundamental local SEO trends like keyword research, meta tags, indexing, penalty recovery, directory listings, and mobile optimization. Be consistent with your contact information across multiple sources. It will make Google trust your business. Also optimize Google Maps Listing. Complete your Google places listing by adding images, videos and coupons to ensure a rank on SERP. You can mention details of your website on other websites than your own. This is called Citations which will earn the same trust which backlinks do. Make sure your citations represent sufficient information of your business. Some famous citations include Yelp, Foursquare, and Yellow Book. There are several other ways which can help improve your startup SEO. Blogging is one of the effective ways which brings to you popularity from localities. You can gain the interest from localities by writing blogs about the events happening in the locality, government policies, business interests, and other local things pertaining to your business. You can also take up local link building. Promote your content on social media like Google+, Facebook and Twitter and other local communities. Google is a little partial to good reviews. Make space for people to give their opinions and ask for their genuine reviews. Positive reviews give you the potential to come up in the SERP and negative reviews will explain where you are going wrong. Listing with reviews has a different impact so encourage your users to review your business and rate you. had said “It’s much easier to double your business by doubling your conversion rate than by doubling your traffic.” A local SEO guide can be the oxygen of the business for entrepreneurs targeting on a particular geographical area. Previous article‘Uber For Car Washing’ –Your On-demand Car Cleaning Service!